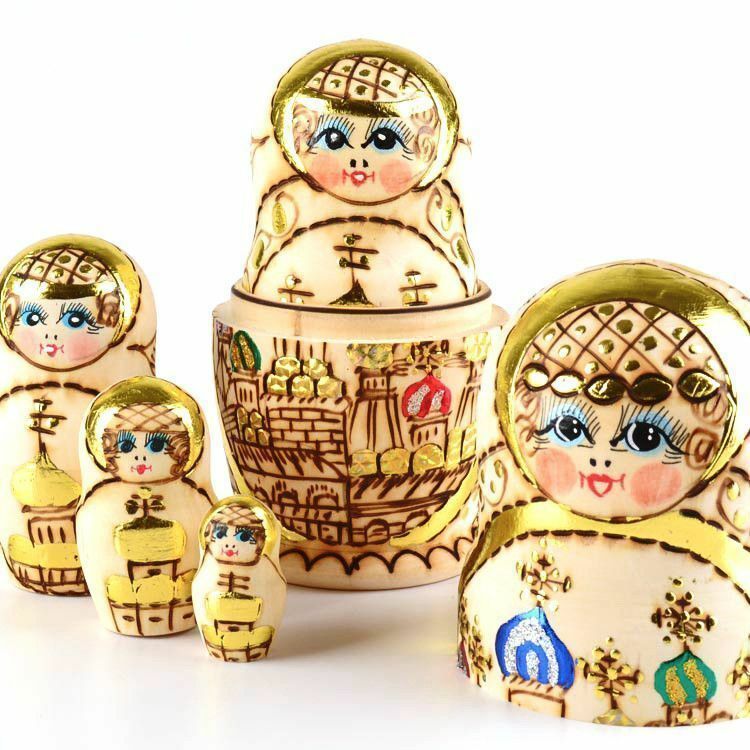 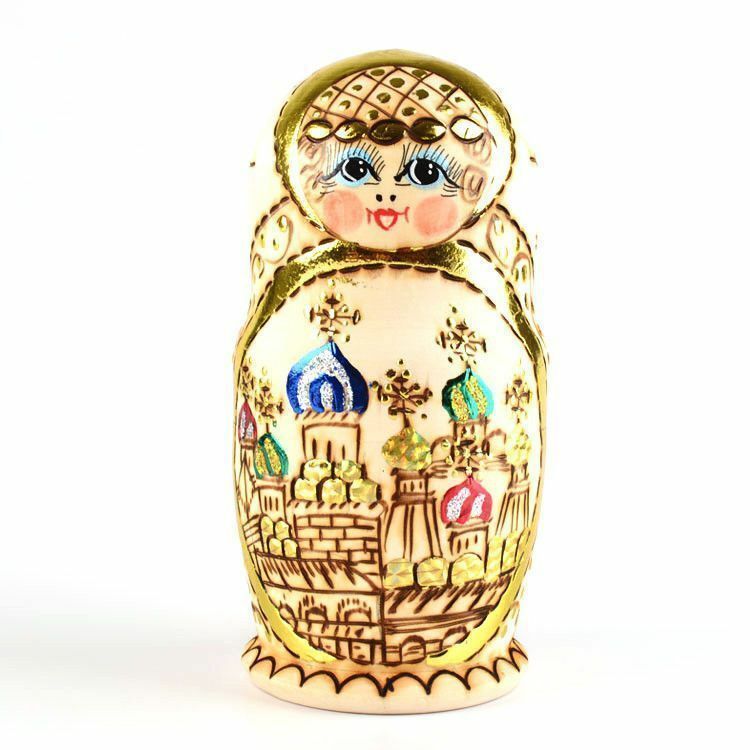 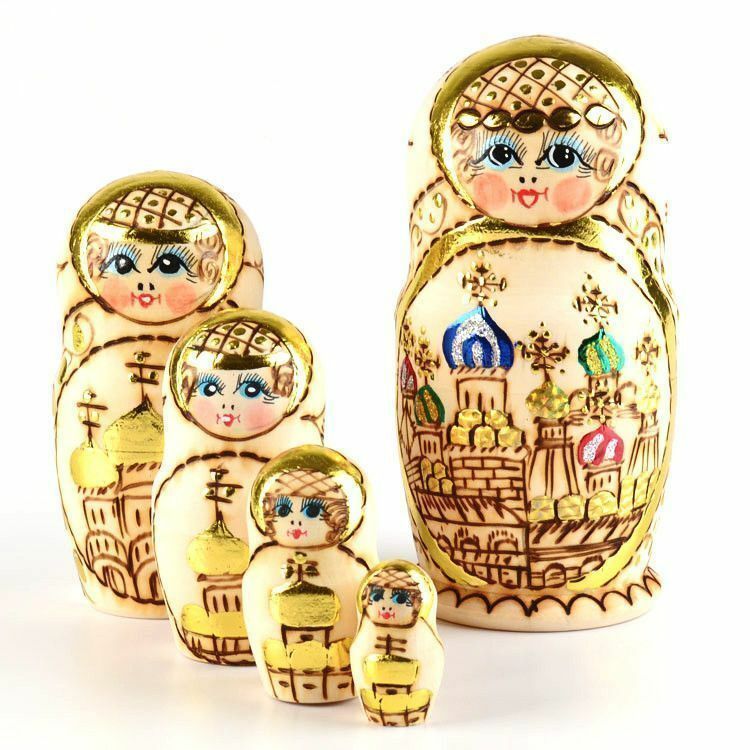 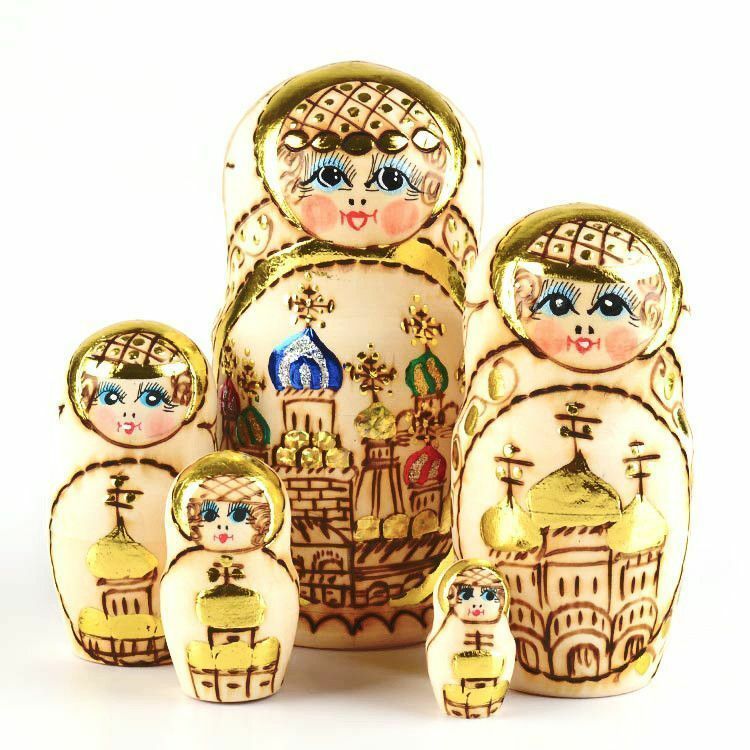 Wood-burned with a sparkly floral design on the back and the famous onion domes of the Russian churches on the front, this matryoshka has it going on! 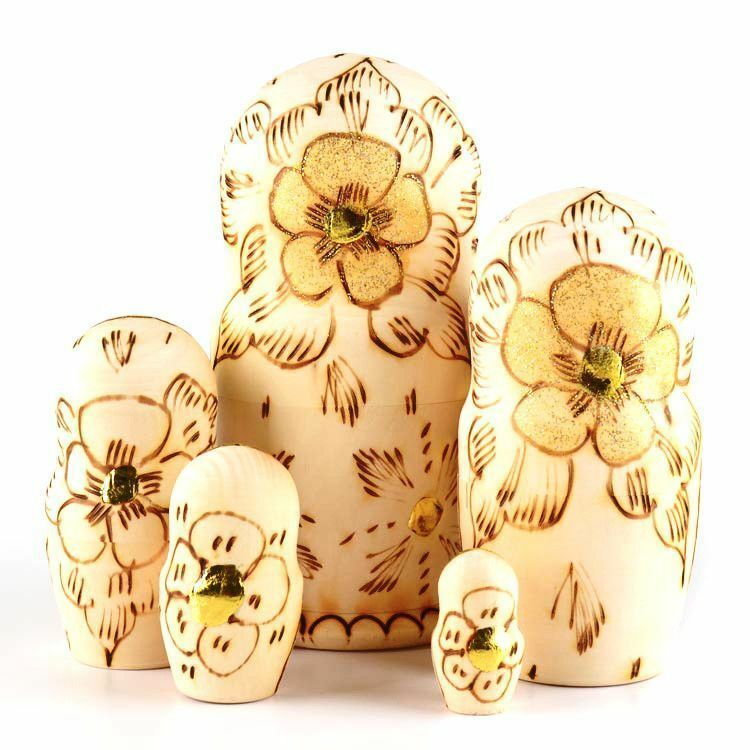 It is about 6 1/2" tall and holds 4 more smaller dolls of similar design. 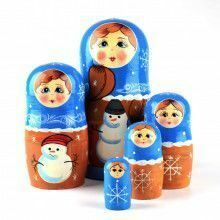 Looks beautiful wherever you decide to put her!